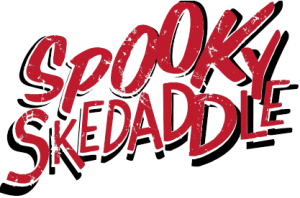 Texas School for the Deaf Foundation – Save The Date: October 25th Is The Spooky Skedaddle! Save The Date: October 25th Is The Spooky Skedaddle! What: 5K, 1K Fun Run and Halloween Festival for all hearing and Deaf, signers and non signers! Including food trucks, carnival games, music, Halloween costume parade, cake walk, miniature ponies, balloons, clown, local fire trucks, and much more! Good advice: Be sure and wear your costume to take your picture in the Spooky Skedaddle Photo Booth! For more information: See the Spooky Skeddadle page. More details coming soon. Contact TSD Foundation Deputy Director Carol Richards at 512-633-7898 for more information.